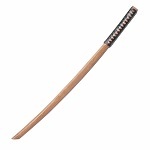 40" Practice Daito Sword. Made up of Polypropylene Material. 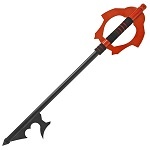 God Killer Costume Replica Foam Shiel. 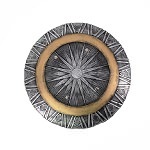 18 Inch in diameter. 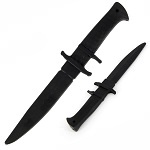 11.75 Inch Black Soft Rubber Training Sub-Hilt Military Knife. 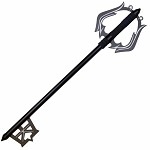 Blade Length 6 5/8"
Replica Stainless Steel Game Key Fantasy Sword, 35 Inches overall in length. Cosplay is getting popular day by day. Almost everyone is obsessed by it, whether they be kids, teenagers or adults. 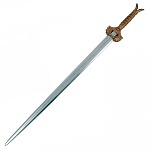 You must have heard about LARP (Live Action Role Play) as well. Right? Both of these events let you transform yourself into a mythical or magical creature or a movie character. 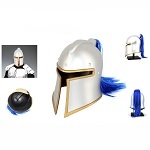 People spend lots of their hard earned money on getting their hands on the most renowned and stunning costumes and that includes cosplay masks, clothes and of course the cosplay weapons. 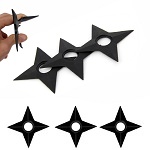 If you are thinking about taking up the character of a knight, warrior or a king, then cosplay weapons become quite essential for the costume. Without them, the costume remains incomplete and boring. So, if you are planning to go to a cosplay or LARP event sometime soon, then we have something good in store for you. 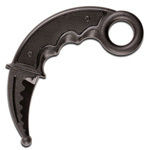 Wholesale Blades stocks one of the best cosplay weapons and offer them to its customers at the most affordable rates. We have all kinds of cosplay weapons for sale, that are going to make you go crazy over the grandeur of them. And when it comes to the variety, we stock endless products. 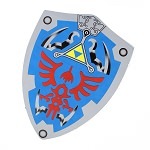 From the famous Hylian shield from Zelda, Urahara Kisuke cosplay sword, Rubber Training Guns to 300 foam shield, we have all of these amazing products and so many more at the most affordable rates. 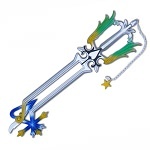 Our cosplay weapons are very finely designed and exhibit beautiful vivid colors. They are so detailed, that they look very much like their real counterparts, thus providing more realistic touch to your costume. 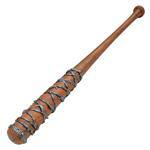 We stock all types of cosplay weapons. 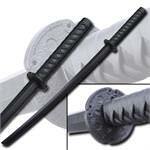 We have plastic guns, foam swords, foam shields, cosplay knives, restraints and so much more for you to have fun around with. 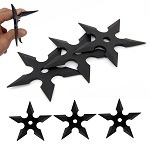 Lovers of history can get their hands on the most stunning cosplay swords and shields, the gun fanatics can have plastic guns for themselves to practice their shooting skills on. 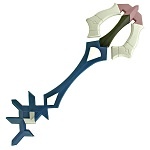 Also, these weapons are quite durable as well. 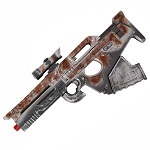 So, browse our collection of the best cosplay weapons for sale and make your purchase now at very affordable rates. 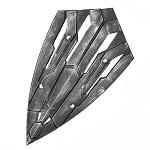 Wholesale Blades is the wholesaler and dropshipper of the best cosplay weapons for sale available at very reasonable rates. We provide top quality to our customers and strive to provide the best services to them. That is why we bring a superb offer for all those who want to buy wholesale products. 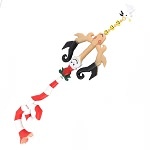 Grab six or more pieces of the same cosplay weapon from us and avail 20% off that weapon! Isn’t this just amazing. Right? 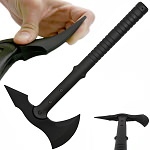 We also bring mind-blowing offers for those who are into drop shipping business. 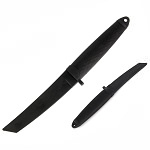 Wholesale Blades offers 100% FREE Membership and Dropshipping services to its customers. 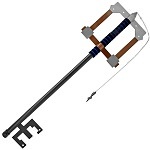 Browse our collection of the most visually appealing cosplay weapons available at the lowest possible rates and make your purchase now to avail the fastest shipping of one business day only.